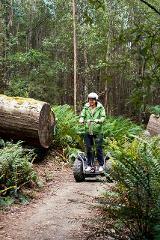 Explore Hollybank with one of Australia's Top 10 Segway Tours! Discover the uniqueness Hollybank's trees from the forest floor on this relaxing off-road tour. Approx. 1.5-hours. Complimentary digital photos provided.